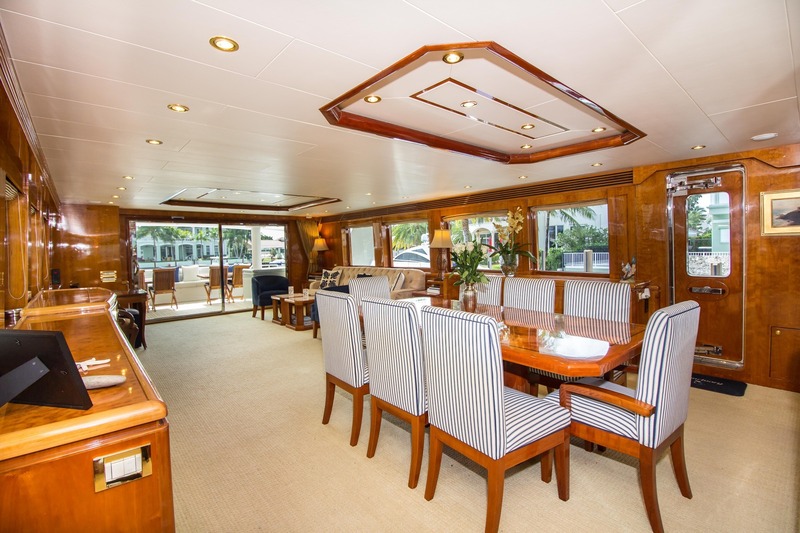 30m/100ft superyacht SANCTUARY (ex.NELLY) was built by Hargrave in 2002 and last refitted in 2015. 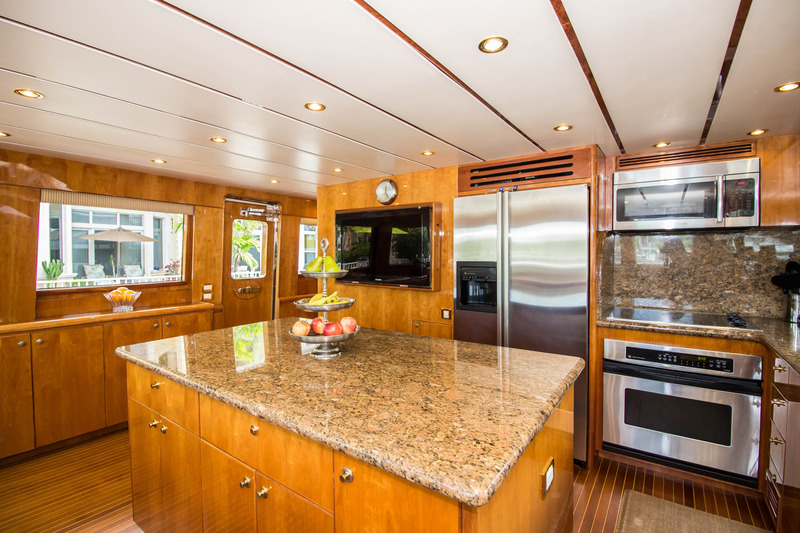 Her interiors are the work of Yacht Interiors by Shelley, and the exterior styling and engineering were completed by the shipyard. 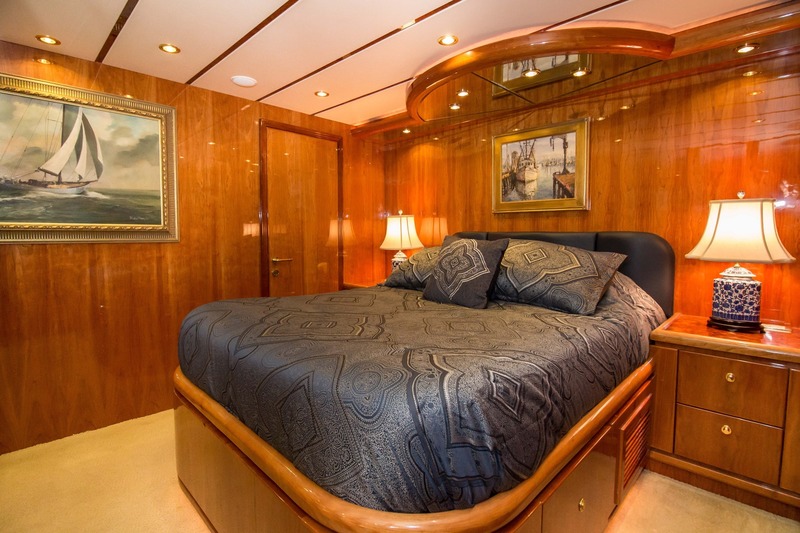 The accommodation sleeps seven guests over four cabins. 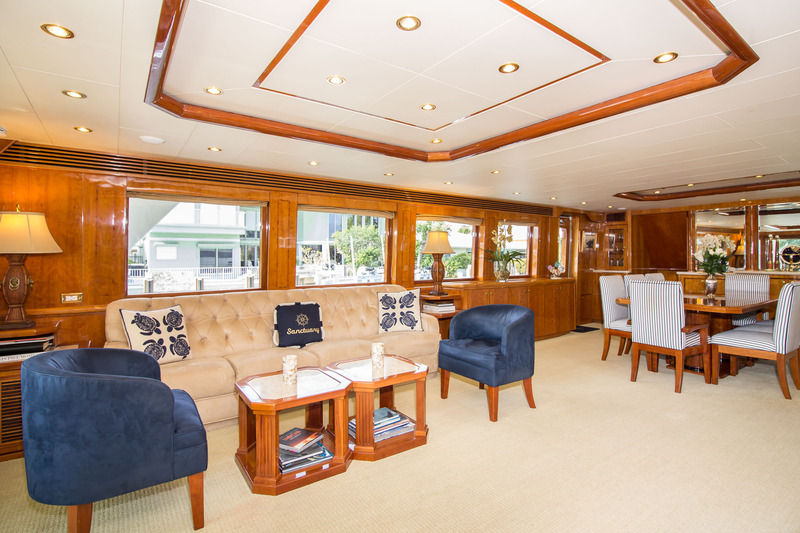 The main deck aft is prepared for alfresco dining and outdoor living and provides a sofa and two raised tables. 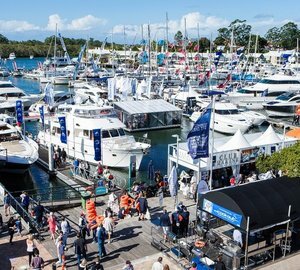 Stairs lead down to the swim platform which has plenty of space for sunbathing and for accessing the tender. 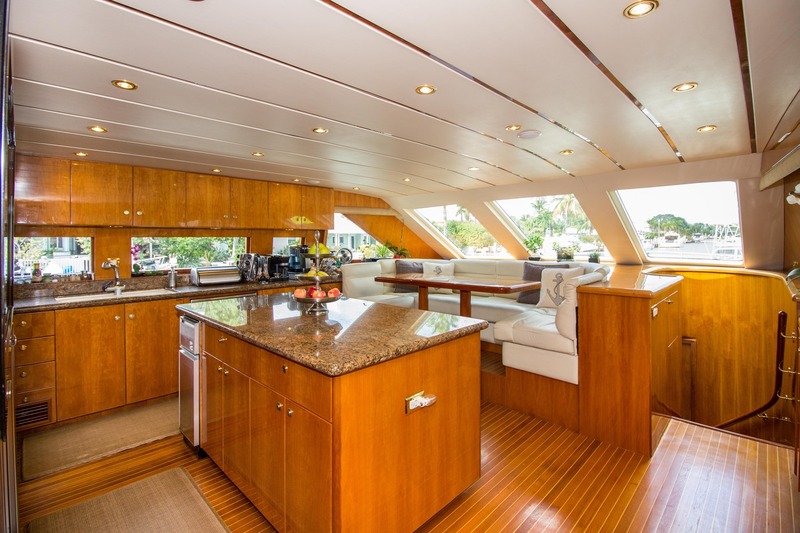 The foredeck has a large sun pad where guests can spend time taking in the views and the sunshine in a peaceful environment. 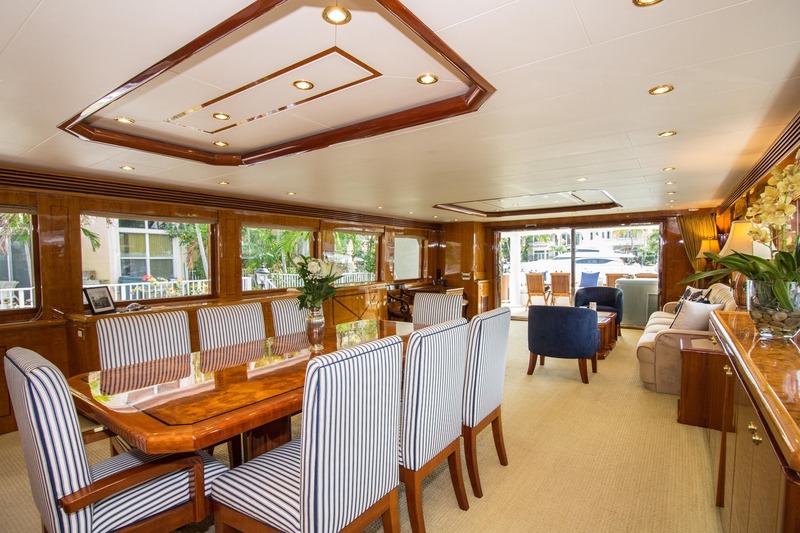 Above, the shaded flybridge has two seating areas, one large than the other and each located in the corner and offering a raised table. Closer to the helm station there is a bar with stools for three people. 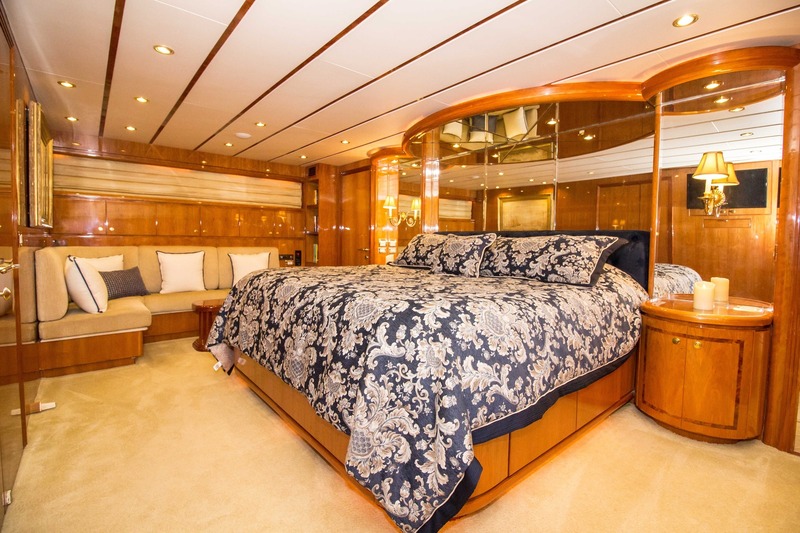 The guest accommodation is located on the lower deck, with the crew accommodation in the forward section. Above, the main salon is a timelessly styled interior that uses cream and dark blue furnishings to complement the yellow tones of the surrounding wooden panelling. 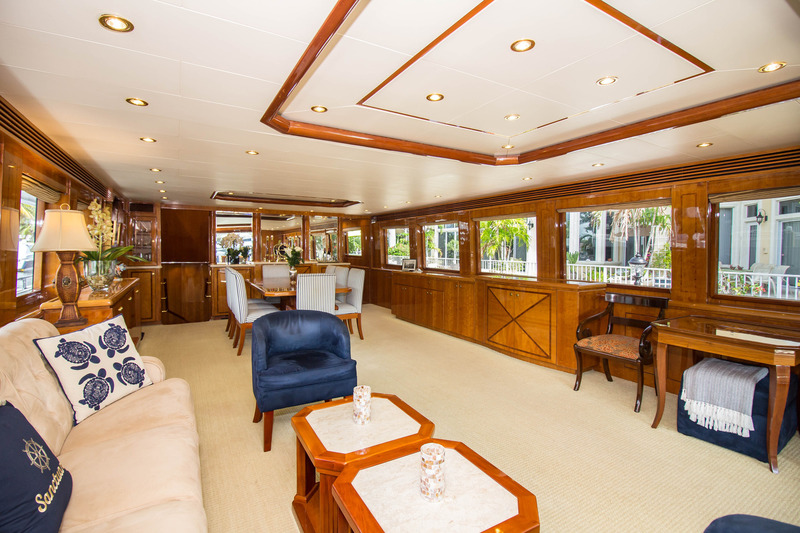 Forward, there is a formal dining area to seat eight guests, and behind a port-side sofa, armchair and small movable coffee tables provide an indoor relaxation area. Wherever guests sit in the interior, there is plenty of natural light and excellent views due to the number of large windows running down both sides. 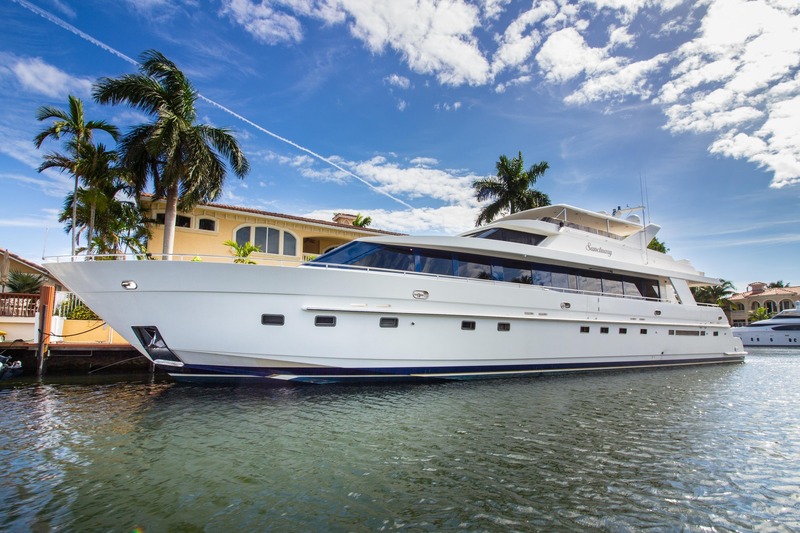 2 x CAT 3412 Onan 35kw engines produce a cruising speed of 12 knots. 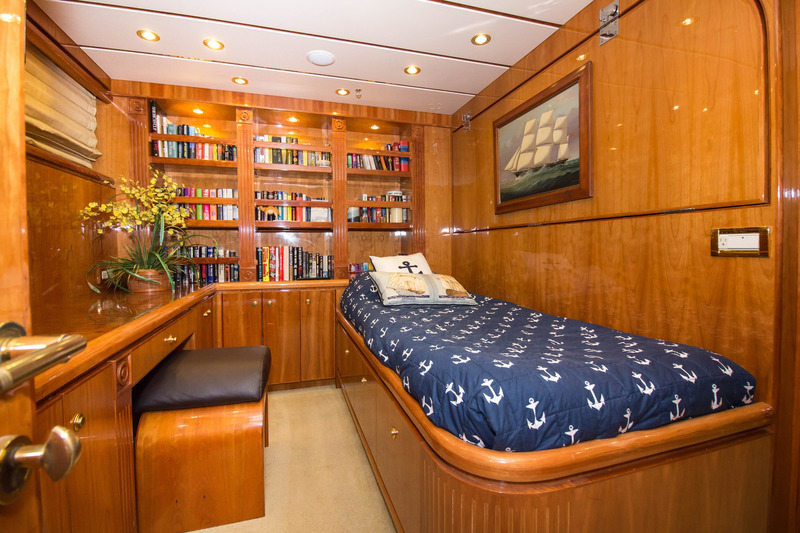 The accommodation sleeps up to 7 guests in 4 cabins: 1 Master suite, one double cabin, one twin cabin and 1 single cabin with 1 Pullman berth. The professional crew of 4 will ensure that everyone receives the first-class service throughout the cruise.